How do you get youngsters to wear glasses? One hundred years ago, an eyecare company launched an innovative co-branding program to do just that. The resulting campaign, “Boy Scout” eyeglasses, may have been the first time spectacles were marketed for their "coolness" to the youngster generation. Around this same time, American Optical even entered the movie business to convince parents to schedule an eye exam for their children. In 1927—the same year that Hollywood released the earliest ‘talking’ film—the company distributed a three-minute movie showing the facial expressions of a young girl putting on glasses for the first time. This short film clip wouldn’t win any Oscars and don’t expect it to go viral on YouTube. But the expression of delight on the youngster’s face when she could finally see the world with clear vision captivated those who watched it in the 1920's. The release of this public service commercial (as we would call it today) represented a milestone moment in raising public awareness about children’s eyesight and the role it plays in learning. A major breakthrough came with the American Medical Association’s endorsement of the Massachusetts vision testing program in 1943, and over the next two decades similar initiatives gained traction in most US schools. Attitudes to glasses were also changing—in a pioneering psychological study from that same year, Professor G.R. Thornton of Purdue showed that people wearing spectacles were perceived as more intelligent. As technologies evolved, so did the tools available for addressing the national eyesight deficit. In the 1940's, American Optical funded research at Yale on the link between vision and child development. 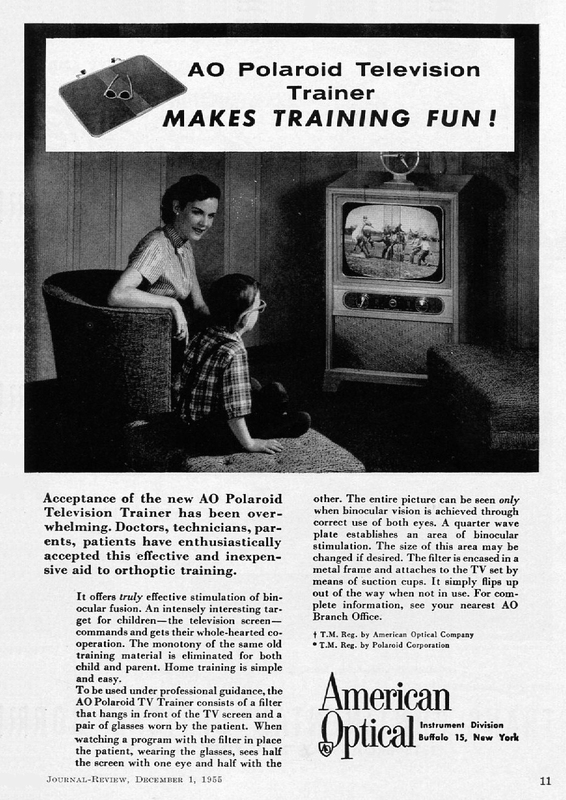 In the 1950's, the company developed a technique for using the home television as a training device to teach binocular vision. In the 1960's, the company made great strides in improving eye safety with more impact-resistant plastic lenses. A wide range of other advances have been made in youngsters’ eyewear in more recent years. 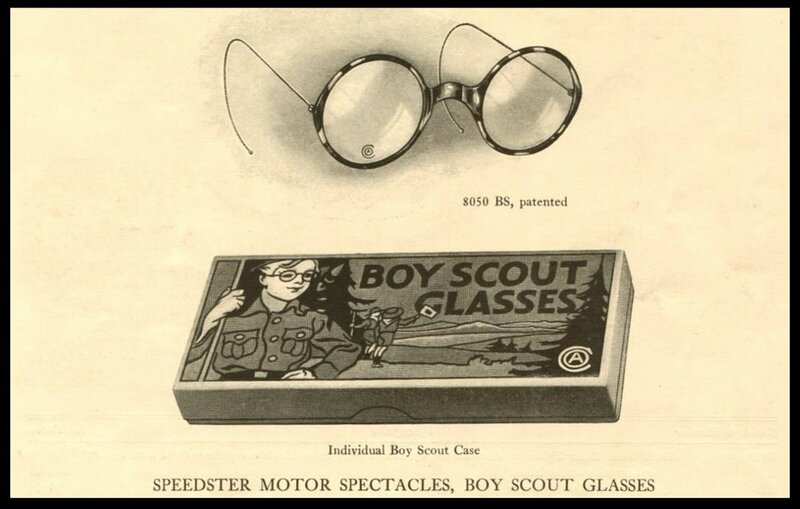 Even those rugged Boy Scout spectacles from 100 years ago can’t compare with the current offerings. “Lenses nowadays are more impact resistant, harder to scratch, lighter weight and block dangerous UV rays,” comments Roberts.